Back in 2003 I reviewed a book called Save Send Delete by Danusha Goska. A book I really liked and one that I remember very well. Some months ago the author sent me a PDF of her new book God Through Binoculars: A Hitchhiker at a Monastery, her spiritual memoir. 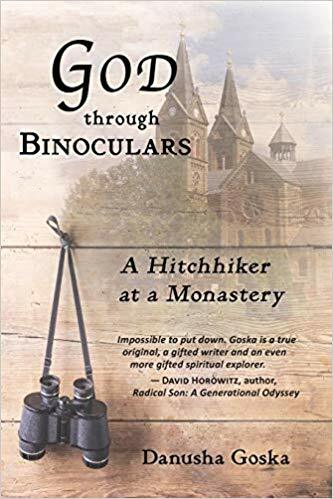 A spiritual memoir and travelogue, God through Binoculars: A Hitchhiker at a Monastery is about where you go when you have nowhere left to go. After a difficult childhood and a series of tragedies and misfortunes, author Danusha Goska finds herself without hope for the future. She decides on a retreat at a remote Cistercian monastery. What results is a story about family, friends, nature, and God; the Ivory Tower and the Catholic Church. What I remember about her novel was just the brilliance of the writing that was just so quotable. This brilliance shines through especially in her memoir. 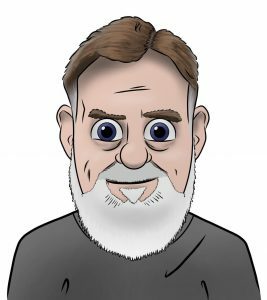 As a reviewer, I wish I had the writing skill to review properly. It is both eclectic and at the same time on-point. The summary indicates a story of a woman with a rough childhood, and a difficult life goes on a retreat at a monastery. Where you expect a typical pious outcome of problems solved. I might have suspected this was in that genre if I hadn’t read Save Send Delete. Her childhood is almost like a Dickens story as written by Stephen King. This includes Dickens’ propensity for coincidences. While I am not that fond of the term God-incidences, it is rather accurate here in how they show up in her life. A very rough life from childhood on to pursuing an academic career. She weaves this story partly on her hobby as a birdwatcher along with a wealth of facts from the natural world to the Holocaust. One thing I know is that I will never think of Hyena’s the same way again. I enjoyed how she could be blunt, while not just trying to be shocking. An apparent love of truth, and even the facts she saw in herself. Her retelling of how she has been so severely treated is not to invoke pity or play the victim but put her story in context. That she never lost her faith along the way is somewhat surprising. A lot of this is a ramp-up to her visit to the monastery and how she talks about the people she met there. What I especially laughed about is what she writes about Thomas Merton and her reaction to him. Her critique of him and his writings enter her memoir from time-to-time. I indeed found part of her analysis to be merited. One minute you are laughing about what she has to say, then aghast as to how she was treated and then reaching for the highlighter to mark a spiritual insight that stops you in your tracks. Her life experiences are so varied as she has done a lot of traveling. The sense of her that I got from this book is that I would love to be able to sit and listen to her talk. Julie Davis at Happy Catholic has also reviewed this book. That Dead Language Must Die!